A New Website to Help You Get Better at Smash Bros.
Super Smash Bros. is a fun party game for many people, but there is a competitive community for the game as well. If you are looking to get better at Smash Bros. or follow the competitive scene, a new site called SSB World has you covered. The site was built by a over the past 9 months by Anthony Nelson and Alex Dixon. Anthony was new to the Smash Bros series until the Smash 4 launch arrived on the Wii U. He quickly became obsessed with playing the game but soon realized he was very bad at the game and it was difficult to find good matches to watch on YouTube. That lead him to enlist his friend Alex to help him build a site for the Smash community. 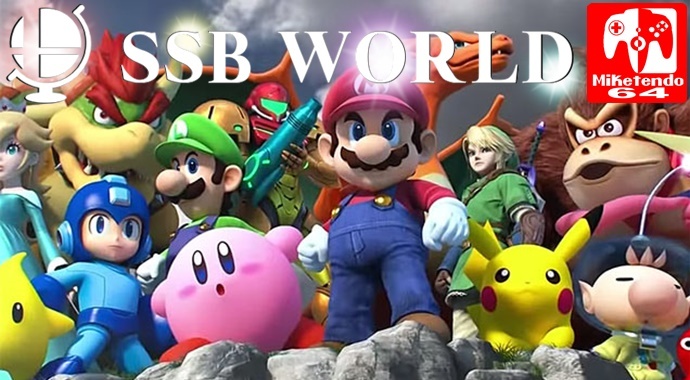 Essentially, SSB World is a platform that allows you to easily find tournament matches that feature your favorite Smash Bros. character or player. The site acts as a hub for tournament matches and during the video upload process the site records the players, characters, stages and winners and losers for each game. This allows the site to provide unique insights into how character records matchup against other characters or what stages your character frequently wins or loses on. After launching on February 10 of this year, the site has seen promising growth largely driven by the support of top Smash players such as Dabuz, ZeRo and Captain Zack creating accounts and sharing the site on Twitter. As of today, there are nearly 15,000 matches on the website with users contributing new videos daily. The site is easy to use and navigate. You can start by picking a character from the Smash 4 character roster. From there, you can find recent videos that feature that player, player profiles for top players that use the character or easily add another character to filter to that specific character matchup. The site is great for fans who want to follow their favorite players as well as pros who want to study their upcoming opponents. Using the site can help you find matches to study as well as supporting data to help you pick better characters or stages for your future games.